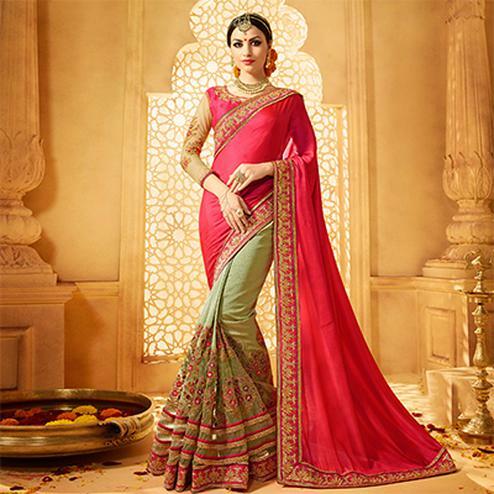 Grab a gorgeous and different look from other wearing this rose pink saree. This two tone silk fabric is highlighted with heavy zari embroidered and parsi work embellished with stone that would provide you an eye catching look and showers of compliments. Saree attached with coral red color banarasi brocade blouse piece. This saree is specially designed to wear on special occasions.